SSL certificate is needed to accept online payment and create a secure gateway for your website. Obtaining an SSL certificate for your WordPress website has become imperative owing to the new algorithm of Google Chrome browser. Starting from 1st July websites who do not have an SSL certificate will not be displayed by the Google Browser. So to assist you in obtaining a free SSL certificate, we have listed a few approaches, read along to find out. 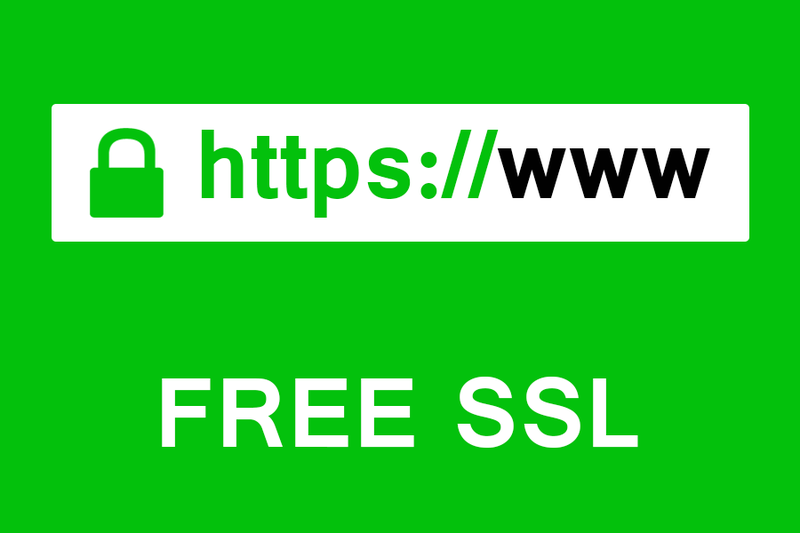 SSL is an abbreviation for Secure Sockets Layer. It refers to the internet protocol that ensures a secure transfer of data between different browsers being used by users. All the users on the web transfer information of some sort whilst they are browsing websites. More often than not, these information are sensitive in nature. They can be login credentials, security numbers, information related to debit or credit cards, etc. Operating on a basic HTTP protocol would suggest that this sensitive information might get leaked or hijacked. At this point, we turn towards SSL also called as HTTPS. With the addition of an SSL certificate which is issued by a well-recognized authority, users can browse securely. SSL is a verified certificate which is mentioned in the address bar of the user’s browser. This brings about a padlock sign and contains HTTPs and not HTTP. The importance of SSL has already been stated above, yet several website owners are hesitant to obtain it owing to the additional cost it incurs. This, in turn, leaves the website prone to hijacking and info theft. Lucky for you, there is a non-profit project that goes by the name “Let’s Encrypt”. Their initiative involves creating a free certification authority providing free SSL certificate. This project quickly gained momentum and support from several internet giants like Facebook, Google, and WordPress. For installation of a free SSL certificate from Let’s Encrypt you will require a certain level of coding knowledge and you need to be acquainted with the know-how of servers. To ease out the process for you, several WordPress companies are offering SLS certificate for free. Some of these hosting companies are SiteGround, DreamHost, Bluehost, GreenGeeks, etc. Obtaining an SLS certificate is of paramount importance if you want to stay relevant in the business. If you are already engaged with one of the above-mentioned companies, then getting a free SLS certificate will be swift and easy. Good Luck.